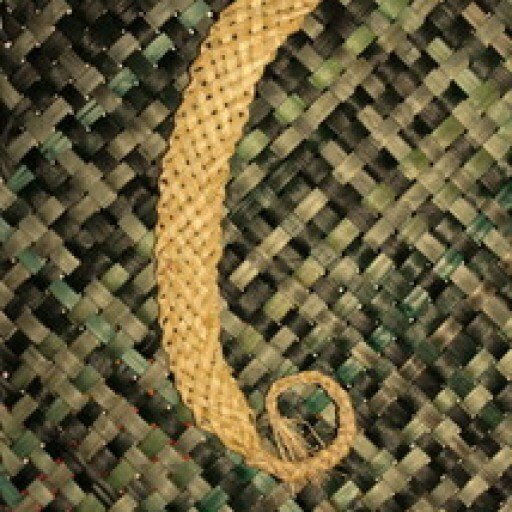 Wanting some quality handwoven New Zealand-made art work or more functional items? All items have been handwoven and dyed by me, Anne Daniel, and each is unique. Most are in locally sourced natural fibres. I invite you to look through the following galleries of my functional and art works which are for sale. 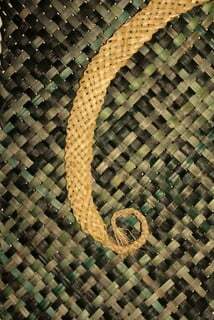 If would like to purchase an item, would like me to weave you something special to order – in your style, colour, size – or you are coming to Hokitika and would like to come and see my work, please contact me. You can see previous works which have been sold, gifted or are in my own collection here. A selection of cylinders woven in natural and dyed harakeke (New Zealand flax – phormium tenax) which are for sale – $65 – $80. These can be either hung on a wall or the wider ones can stand alone. I can make to order for size and colour. Three coloured nikau are $225. Kete, pots, baskets and other three-dimensional objects which are for sale. 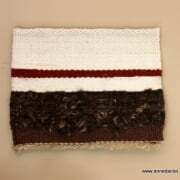 If you are interested in any work or would like me to weave something for special for you contact me. You can see other similar works that I have made here. Some works I have handwoven on a loom. You can see other handwoven works off my looms here.